The University of Toledo is hosting its second annual Toledo Cancer Research Symposium Friday, Dec. 7, in partnership with ProMedica. The event will provide a forward-looking perspective of local cancer initiatives and feature discussions about novel research being performed by UT faculty, including presentations on immunotherapy, precision therapeutics and biomarker discovery. Dr. Jian-Ting Zhang, professor of pharmacology and toxicology at Indiana University, will give a plenary lecture about targeted drug discovery programs. Registration is open through Friday, Nov. 30. 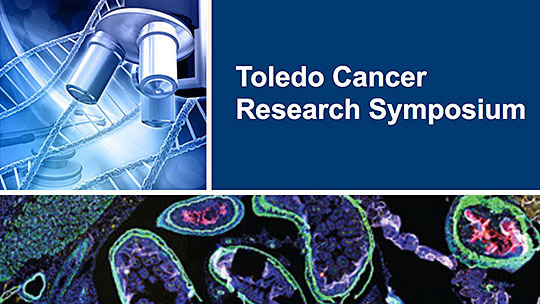 For a full schedule and to register, visit the Toledo Cancer Research Symposium website. This entry was posted on Wednesday, November 28th, 2018 at 3:43 am and is filed under Events, Medicine and Life Sciences, UToday .